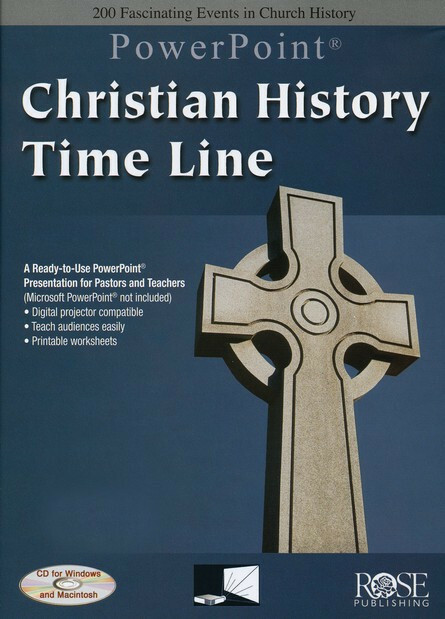 This presentation shows 2,000 years of church history at a glance. Includes brief explanations of more than 200 key people and events that all Christians should know. Special emphasis on world missions, the expansion of Christianity, and Bible translation into other languages. Contains fascinating facts: • From the life of Jesus to modern day • From Augustine to Billy Graham • From the spread of Christianity to the spread of Islam • From the King James Version Bible to the Dead Sea Scrolls.